The British Council Soundpad UK Tour of Music Entrepreneurs 2010 is on. Arjun S Ravi reports to us about his experience. As “Europe’s leading festival for new music” The Great Escape makes for an interesting look at upcoming acts that’ve been gaining press/blog buzz over the last couple of years. I checked out three bands that I’ve had on my/the Indiecision radar for the past few months – Surfer Blood, Best Coast and Real Estate. Apart from these there’ve been some great headline acts that’re on the bill. The Cribs (pictured above) played a packed gig on Thursday night and tonight I’m really looking forward to Broken Social Scene. The conference has been pretty interesting as well, but mostly for the panels/talks that aren’t business related. More on that in a bit. Am headed out to catch a panel with Nick Kent. 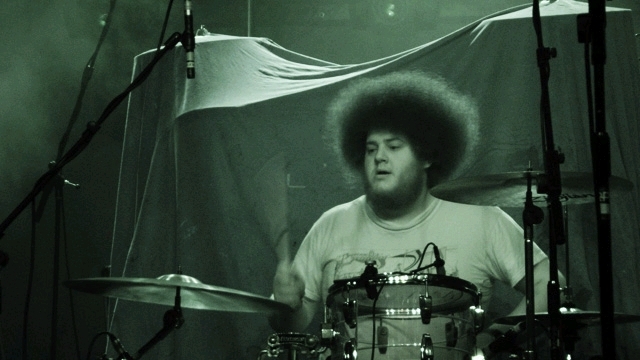 I’ll leave you with a picture of the drummer of a band called Yuck (who aren’t as bad as their name). Vasu Dixit, your move. Arjun S Ravi is the editor of Indiecision, that cool indie blogzine-ication.